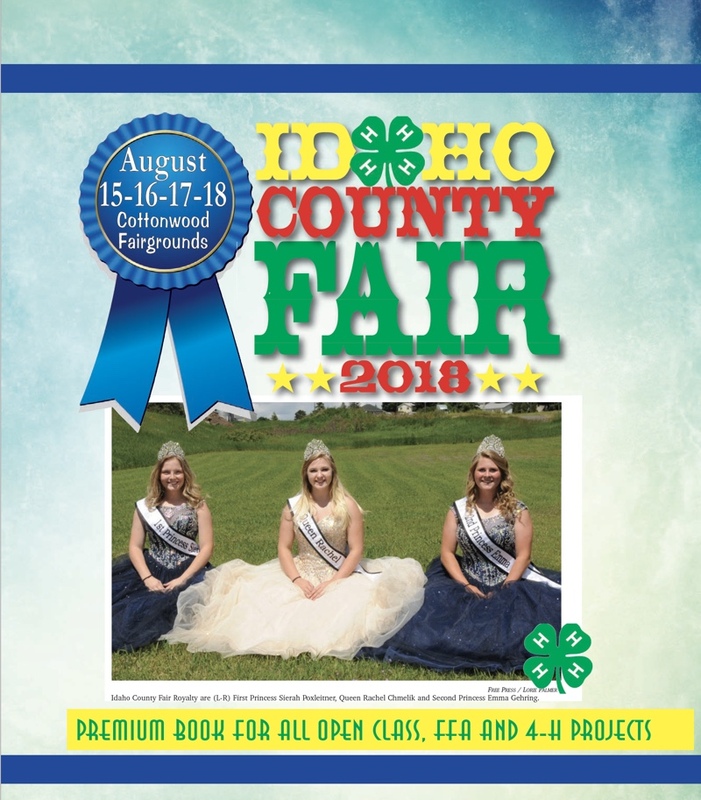 This beautiful, color guide is full info the daily schedules for the 2018 Idaho County Fair and is published by the Idaho County Free Press. Please keep in mind that the pdf file is an 8.8 MB file optimized for Acrobat 9.0 or later and reduced from the originally supplied 47MB version. The file may take up to a minute or two to open, depending on your internet connection speed. We thank Idaho County Free Press for creating this wonderful momento of special times at the Idaho County Fair. Enjoy the 2018 Idaho County Fair.